So this post is just what the title says. 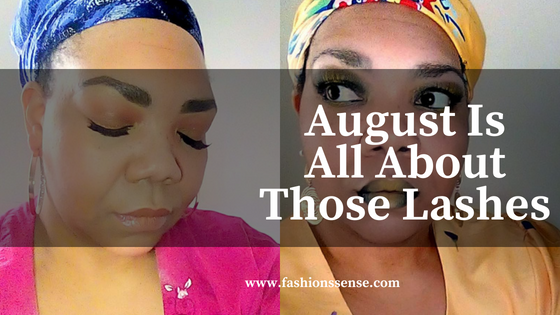 I will be giving a little personal update and reveal the blog theme for August. 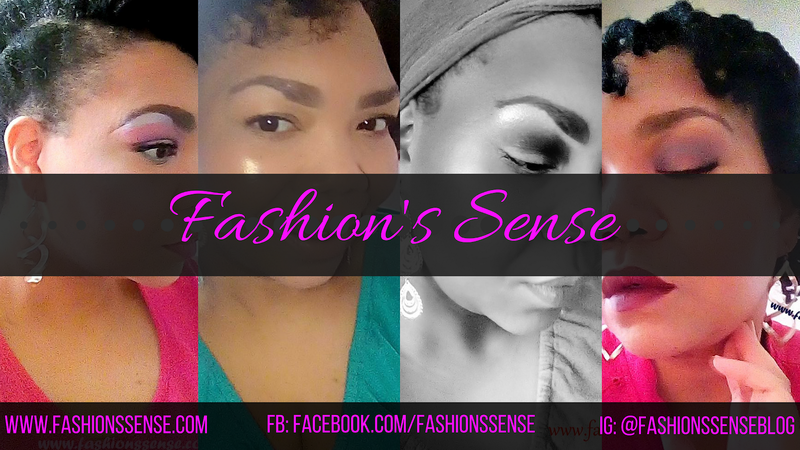 If you have been following me on Instagram (@fashionssenseblog) and the blog's FB Page then you may already know the updates. For those who strictly for the blog here is the tea. So, I have a new diagnosis for what has been going on with me and it is a relief and has stirred up feelings of anger and resentment in me as well. I have a little-known condition called lipedema. The short definition of this illness is the body deposits fat abnormally from my hips down to the ankles and in my upper arms. Diet and exercise do not get rid of this abnormally stored fat. This condition has four stages and I am in stage four of it. Lipedema on its own is not life-threatening but it can cause other conditions and affect your mobility. Well, it has caused me to develop lymphedema and it is the reason why I lost the ability to walk back in 2014. It causes my skin to be very sensitive in the affected areas, I bruise easily as a result, and I deal with frequent occurrences of cellulitis. Apparently, I've had this for most of life. Most doctors are not well versed in this condition so they often just misdiagnose you as being fat and pressure you to have bariatric surgery which would do nothing. I am thankful to God that I avoided going the bariatric surgery route. I actually was going to have it but was waiting for the lymphedema to be manageable first. I am glad I waited. 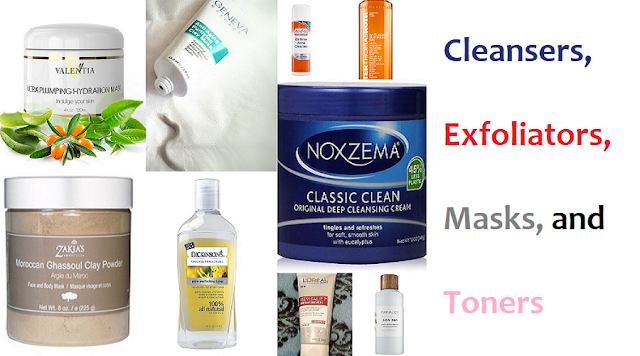 I do need have liposuction treatments done because this is the only way to remove the fat. This will be an ongoing treatment for me. This explains so much and why I always said that my body does not operate the way textbooks say. Before this affected my mobility, I exercised regularly and always had a way smaller waist and stomach than my size would dictate. I could do anywhere from 200 to 250 squats a day yet my pant size was still a 6x. Along with some of my body mysteries being solved, I do have anger and resentment within me. I'm not so much angry with the doctors who did not catch this because it is not well known. I do harbor a lot of resent with some people close to me. I think about all of the times I was made to feel guilty for my size, how I eventually became a burden because of it and was told so often in different ways. Everything was my fault. Now that I know that it wasn't all my doing (I will hold some of the blame for giving in to the tiredness I began to feel when my condition worsened because I should have kept pressing on instead of letting the fatigue overwhelm me) and some of them know as well, I still haven't received an apology for the way they made me feel about myself. For the first time in my life, I do feel that I need counseling to learn how to deal with these feelings. I am on Medicaid because being immobile for over four years means no job that offers insurance or making enough money to buy it. Medicaid is playing the long game with approving my wheelchair. Even though I am progressing with walking, I don't have the endurance or stamina I need to be able to do things like wash a sink full of dishes, stand at the sink to brush my teeth and wash my face. I can't use medical transport without the wheelchair. I don't have the stamina to wait in a doctor's office. I get why they are holding off because my wheelchair is going to be expensive and they can't do the rental thing like they do with hospital beds and such. My chair is a bariatric wheelchair due to my weight and hip and thigh spread. I hope they just approve it so I can actually start making the medical appointments I need to bring me fully back to health and to regain my mobility completely. I mean the sooner this happens the sooner I can get out here and start making a living for myself again. Ya girl is tired of being broke and relying on others for every damn thing. Last week my physical therapy ended and the week before that occupational therapy ended. I still need more therapy but without the wheelchair, there is no more they can do to help me along. See I need the wheelchair so my legs and feet can get used to walking outside. The wheelchair is needed because of fatigue. I need to learn how to do car transfers using the wheelchair. Once again the delay with the wheelchair is halting progress. Even if I can't do home therapy anymore, I would need a wheelchair for outpatient therapy at a center. Now that I have depressed the hell out of you, let's get to this month's theme. On the blog's Facebook page I advised that I would be reviewing some false lashes . I will be posting those reviews this month along with some tricks and tips I learned along the way. So that is everything, lovelies. Stay tuned for those lash reviews this August!